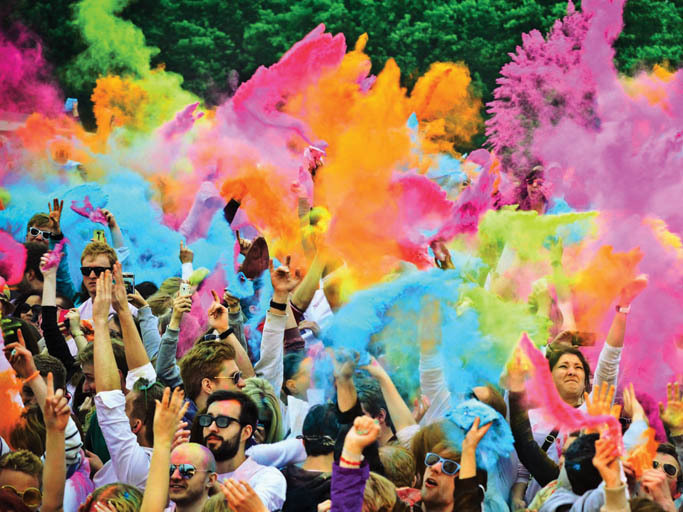 Area Guide and HOLI ONE Birmingham have teamed up to give four lucky readers the chance for them and their friends to attend this summer’s most colourful festival. On Saturday 28th June, thousands of people, all dressed in white, will come together to share music, dance, performance art and visual stimulation at the Rainbow Arena in Digbeth. Against a backdrop of dance and DJ music, revellers will get to throw and cover each other in brightly coloured powder, on the hour, every hour, creating an explosion of colour and excitement aimed at celebrating togetherness and everyday life. Send your name, date of birth (you must be over 18 to enter this competition), address and telephone number to: competitions[@]fusedmagazine.com putting ‘HOLI ONE’ in the subject box. Deadline for entry is: Monday 16th June. The winner will be notified via email w/c 16th June. The prize is entry into HOLI ONE Birmingham for four (4) people and three (3) of their friends. Tickets are priced from £27.99 per person and can be purchased at http://tickets.holione.com/birmingham. This entry was posted in Birmingham, Festivals, Music and tagged COLOUR FESTIVAL, Digbeth, HOLI ONE BIRMINGHAM, Rainbow, The Rainbow Digbeth. Bookmark the permalink.